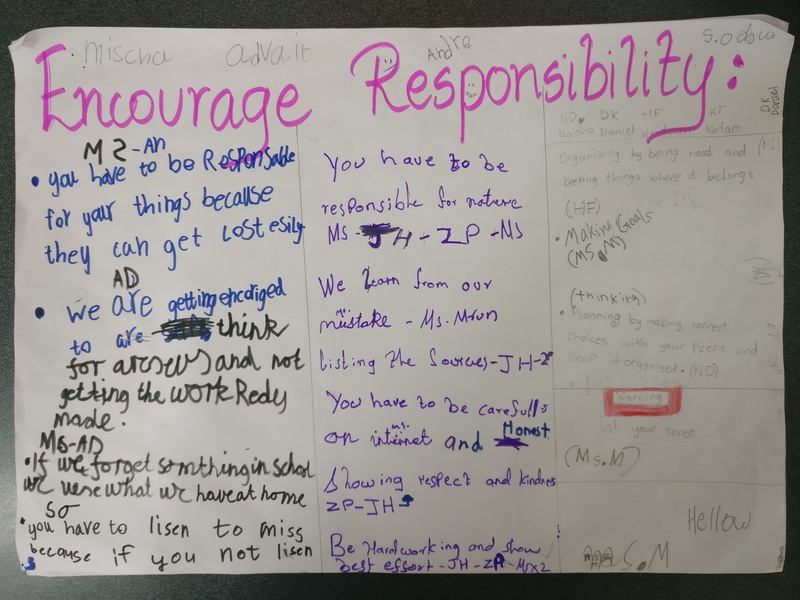 ‘Who We Are’, PYP 3 chose to inquire into the school’s and IB’s mission. 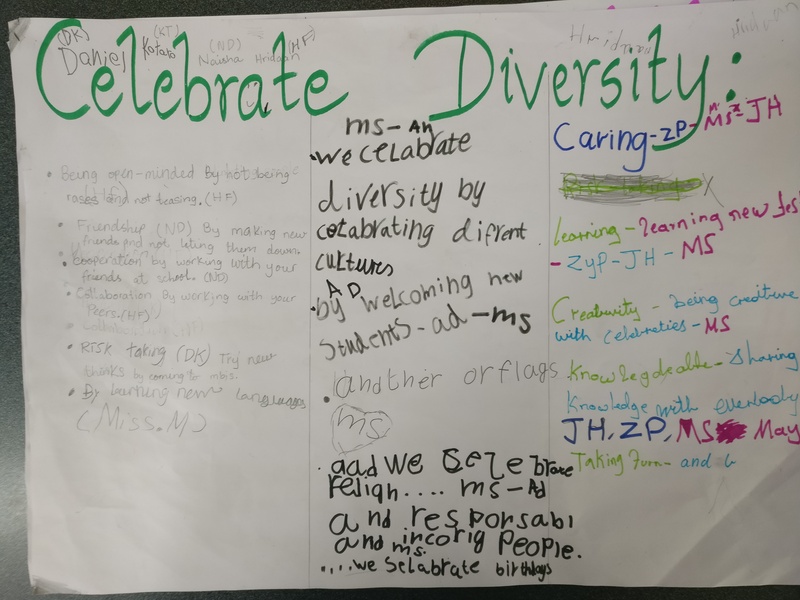 Learners worked in groups to discuss and enumerate the factors that are connected to the Three Pillars of MBIS:‘Promote Learning’, ‘Encourage Responsibility’, and ‘Celebrate Diversity’. 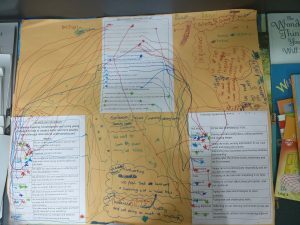 The ideas were enhanced further when each group scanned through the other group’s ideas, and added what they thought would enrich the brainstorming document further. It was great to see pertinent and essential ideas surface through the brainstorming session. The ideas reflected how we are upholding the three pillars of MBIS and what actions strengthen these three pillars. 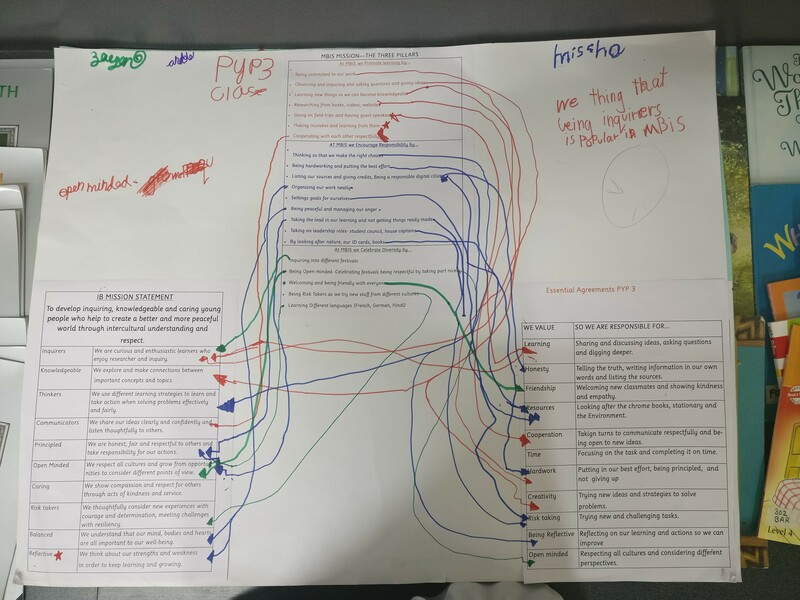 Thereafter, students were asked to identify connections between the thoughts and ideas related to the MBIS mission statement, the IB mission statement (Learner Profile Attributes) and the Essential Agreements of PYP 3. 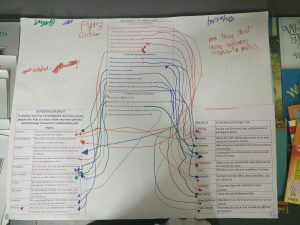 With the help of different colours, students analysed and drew connections between the three. 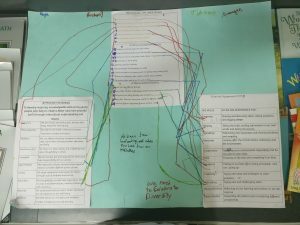 These connections highlighted how the essential agreements of PYP 3 were clearly aligned with the Mission statement of MBIS and the IB. 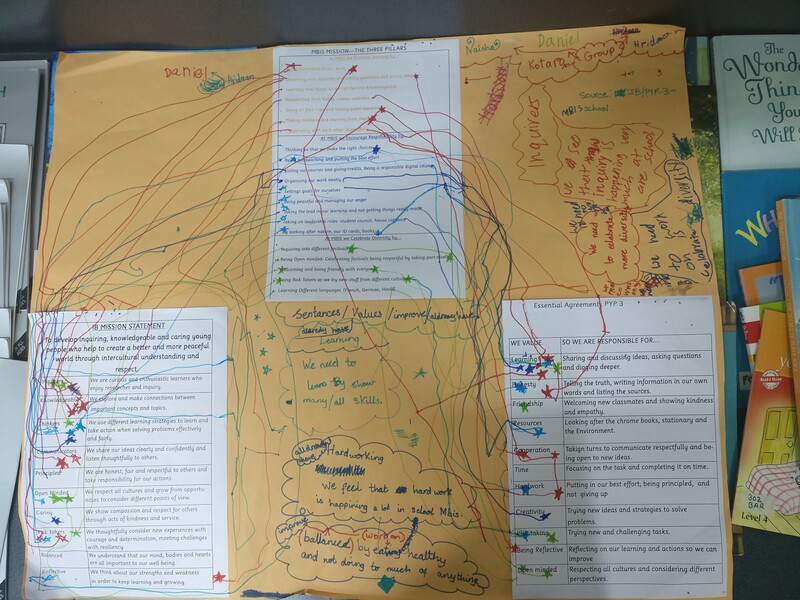 Learners made several observations related to how the connections show that the values that drive the IB and MBIS towards their goals, also reflect in the values and beliefs of PYP 3. 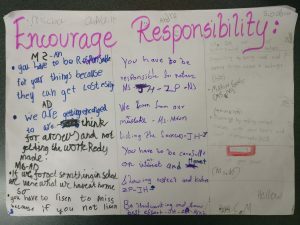 The activity was summed up when students wrote down one value/belief that surfaced prominently in this analysis, and a value that we can all work on and improve as a school community. 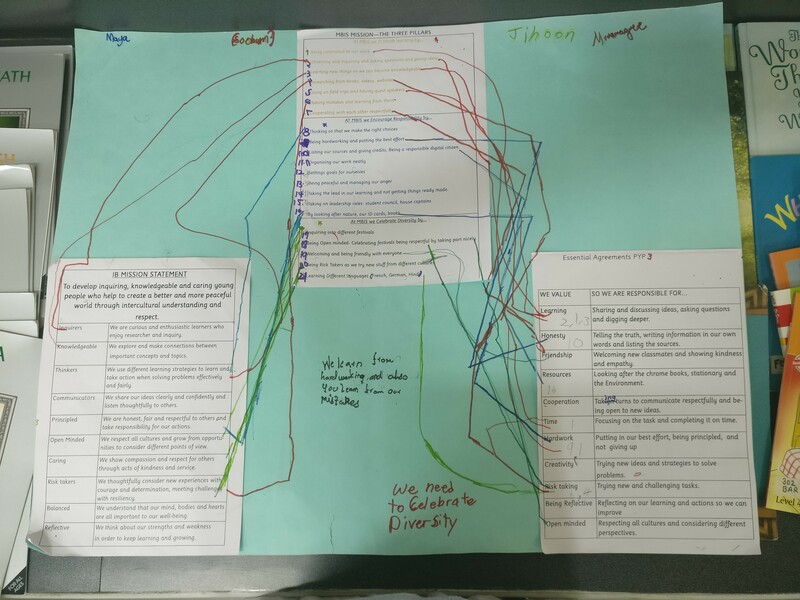 Through this learning experience, learners stayed true to the Vision of MBIS. 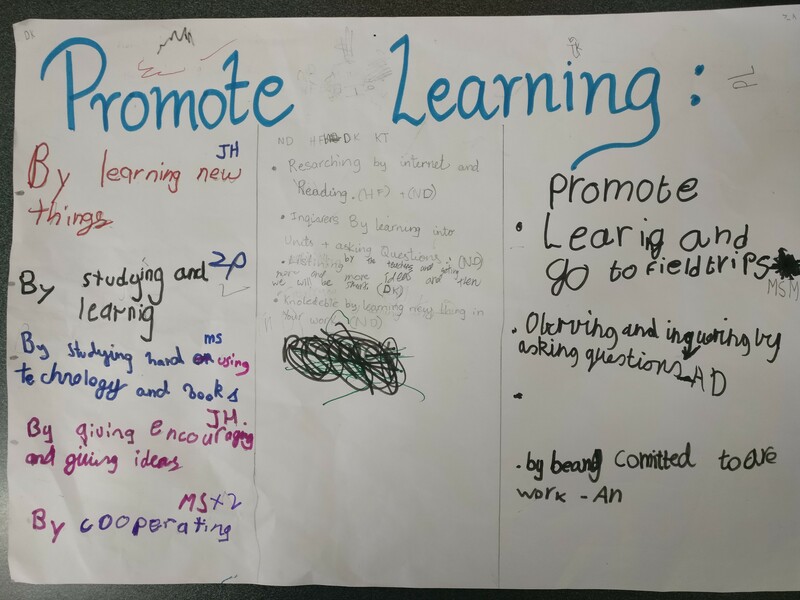 They showcased agility by working collaboratively, as also contributing actively and positively to the learning experience. Innovation was brought in through the patterns and connections that were identified across the three Missions. 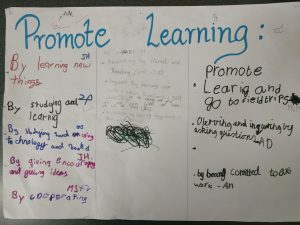 Furthermore, the class acquired a sense of empowerment, as they were independent inquirers, thinkers and collaborators, unravelling their personal thinking process. 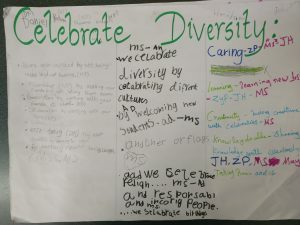 Driven by the central idea of the unit, PYP 3 were successful at delving deeper into the purpose of the unit – to focus on how our beliefs and values shape who we are, as an individual and as a community of learners.